D4: Dark Dreams Don't Die is apparently a rather strange game—"bonkers," as Tom described it when the PC version was revealed back in April. Is it the sort of strangeness you want to dig into? Today's release of a free demo means you can find out without having to fork over any cash. All of the above DLC can be had in a bundle for $16, or as part of the D4: Dark Dreams Don't Die Deluxe Edition, which will go for $30. Two pieces of "special DLC," Swery's Choice Costume Set and Swery's Choice Costume Set , are also available for $1 each. The base game, without any of the above content, will cost $15. 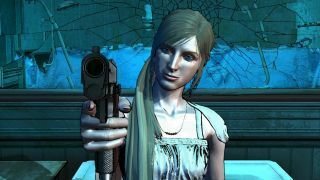 D4: Dark Dreams Don't Die debuts on June 4. The demo is out now at D4-game.com. Our review is inbound next week.